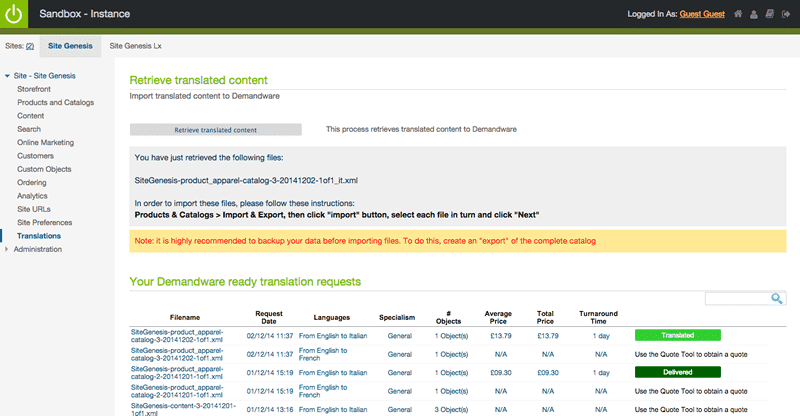 Access professional translations and transcreation by skilled human translators via the Salesforce Commerce Cloud Business Manager. Benefit from the high-quality translations provided by TranslateMedia’s team of expert linguists combined with the efficiency of Salesforce Commerce Cloud’s innovative eCommerce platform. TranslateMedia has released The Language Cartridge, an innovative solution allowing eCommerce retailers to provide personalised experiences across web, mobile, social, in-store and customer service globally. Gone are the days of copying and pasting content, tracking changes in Word, digging through emails and waiting for quotations. Now you can connect your Salesforce Commerce Cloud store directly to STREAM, our translation workflow management technology which means you no longer need to have separate tools to manage the localisation process. 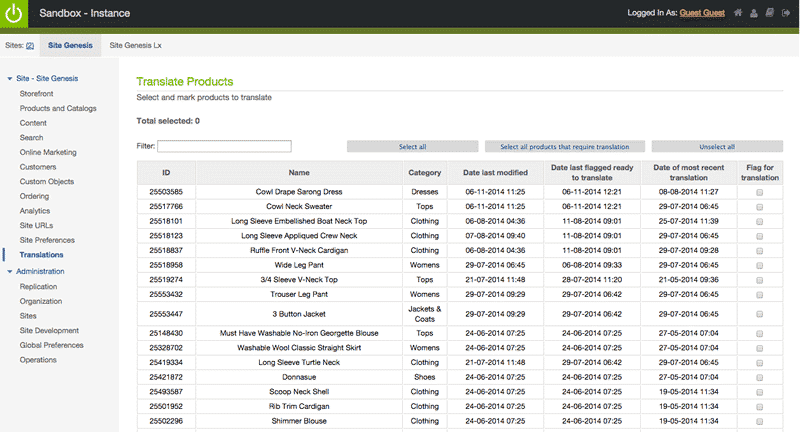 Search, filter and select content in Salesforce Commerce Cloud, send it to STREAM for translation and automatically retrieve the content back into Salesforce Commerce Cloud with just a few clicks. Using the TranslateMedia Language Cartridge for Salesforce Commerce Cloud is easy and requires very little training or specialist knowledge. Need to know more about our Salesforce Commerce Cloud Cartridge or would like to try it out?